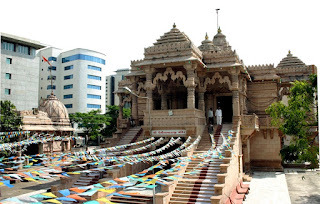 Surat City Located in Gujarat State of India.Surat is known as Diamond City.There are many temples in Surat.Among them Umiya dham is famous temple in Surat.Here is some fact about Umiya dham Temple in Surat Gujarat India. How to Reach by Air : The nearest Airport is Surat Airport . How to Reach by Rail : The Nearest Railway station is Surat city Railway station. Umiya dham is the attractions of this popular tourist spot.Umiya Dham or Goddess Umiya Temple is located at Varachha Road Surat in Gujarat state of India.The temple was built in 1983 and built by Umiya Parivar Trust Surat.The temple is dedicated to Hindu Goddess Umiya.The temple is very beautiful.Temple built with Red Stone look like very Attractive. 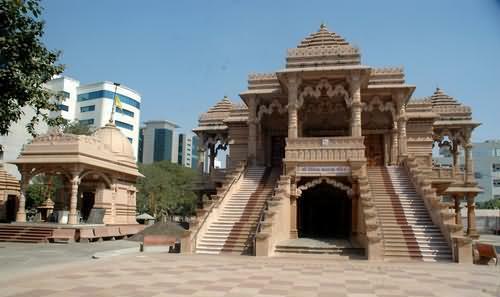 Umiya ma idol is loking nice.Every day different timing different types of Aarti perform in this temple. 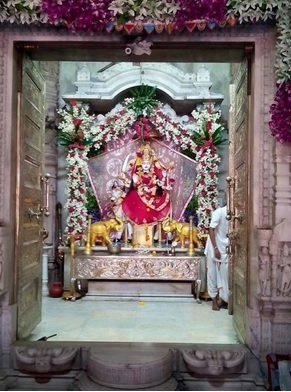 There are many festivals and event celebrated in this temple, like Chaitra Navaratri,Asho Navaratri,anniversary of Ma Umiya,Pragatya Divas(Day of Appearance),Vasant Panchmi ,Annakutosav and manymore.Among Asho Navratri is grand celebration here.Ma Durga Garba play people.Durgashtami Havan arrange temple committee.During Navratri Thousand of Hindu devotees gathered at Umiya Dham and offered Aarti on the occasion of Ashthmi to Ma Umiya. 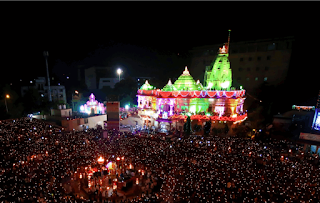 The Ashtami Aarti at Umiya Dham was one amazing experience.Thousands of diyas were lit in just a couple of minutes and then the lights, all went out in a second and we witnessed a spellbinding spectacle. Only the temple lights were on for the entire duration of the Aarti, while thousands of hands swayed with diyas. 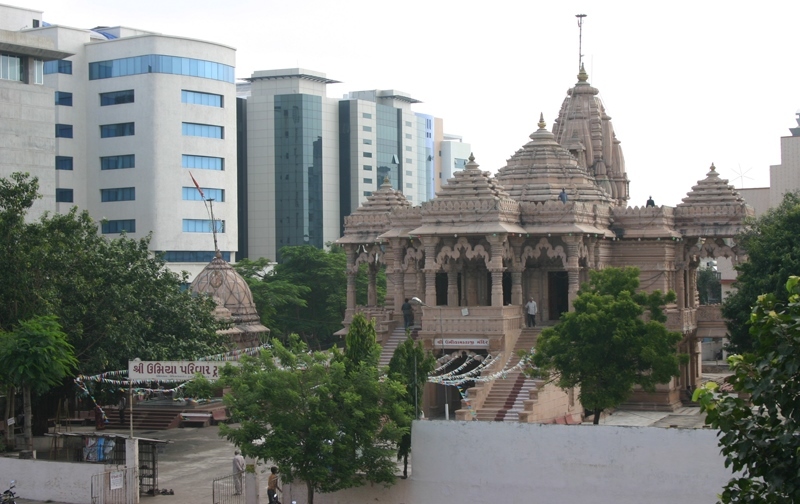 Temple trust provide Canteen for food and Rooms available for Accommodation.The Umiyadham trust also has a Rooms facility for those who wish to stay while visiting Surat. The rooms provides lodging as well as boarding facilities.There are different types f Ac,Non AC and simple 45 Rooms very cheapest price available in this temple.Get full Information and price of rooms click here. 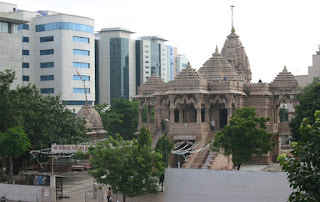 Umiyadham also operates a canteen on the campus of the temple. The temple serves highly hygienic pure vegetarian food at a very discounted rates.The canteen offers lunch and dinner services in the morning and evening hours to the devotees and the visitors.Rates,Menu and timing of canteen click here.